Cupping therapy is usually used as a part of Acupuncture. Its been a part of Chinese medicine for over 2, 500 years. Originally, animal horn was the original cup. Cupping therapy is an ancient Chinese form of alternative medicine in which a local suction is created on the skin; this mobilizes blood flow in order to promote healing. Suction is created using heat (fire) or mechanical devices (hand or electrical pumps). 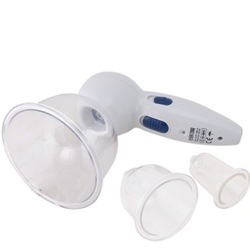 ( A new product added in our catalogue list ) very effective in pain related problems like cervical, backache , knee pain etc. R. Brothers Trading Pvt. 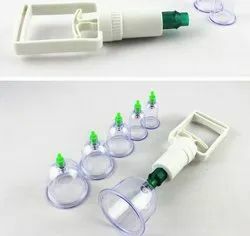 Ltd.
Hijama (Cupping) workshop/training january 2019.